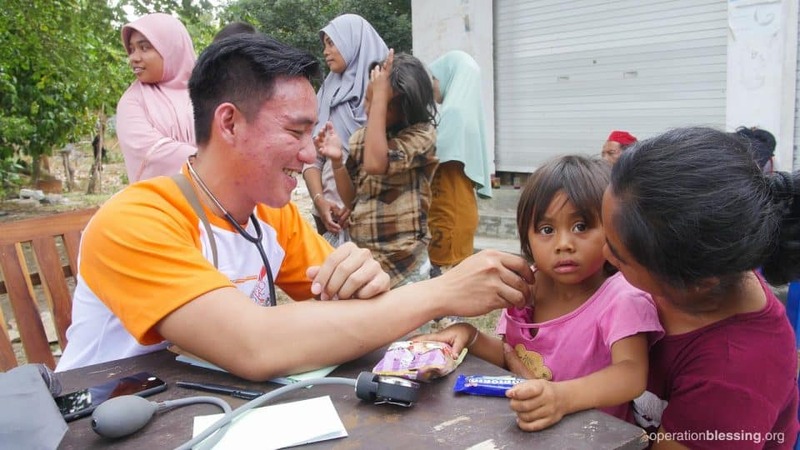 INDONESIA – In August, life nearly came to an end for a 3-year-old girl named Putri in Indonesia. As she watched television in her living room that evening, her home began to shake and then crumble around her. At the time, her family sat outside with relatives and neighbors. When the tremors struck, her uncle instinctively dashed toward the house and young Putri. But as he reached the door, the quaking ground tossed him backwards. Watching in horror, her mother, Nurul, also ran toward the house, only to see it crash to the ground on top of her precious daughter. After an hour, they finally found Putri. With one hand she kept her face covered from the debris, with the other she waved to her rescuers. The young girl appeared to have only suffered scratches. Nurul wrapped little Putri in a big hug, so grateful to God for her miraculous survival. 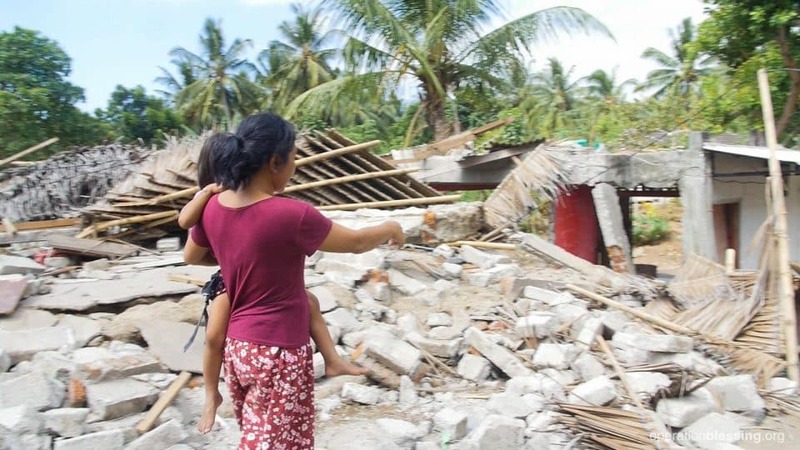 However, over the next days, it became clear that in addition to her scratches, Putri was also experiencing trauma from her ordeal under the dark, crumbled house. Her overall health seemed to be affected, and days later, she suffered from fever and vomiting. That’s when you entered her life through Obor Berkat (Operation Blessing) Indonesia. Already positioned on the ground in that country, Operation Blessing teams moved in as soon as the crisis situation allowed. This earthquake, centered on the island of Lombok, was one of several that struck Indonesia in a short period. The quakes left over 500 dead and hundreds of thousands without homes. The team drove over crumbling roads and cracked bridges lined with flattened buildings. They passed by landslides and saw many residents living in tents, both because they no longer had homes and because any buildings that remained threatened to fall during aftershocks. The team also witnessed fear and sorrow on the faces of the residents, and they resolved to do their best to help smiles return. It was clear that medical care was desperately needed, so Obor Berkat sent in a team of doctors and nurses. That’s when they met miraculous survivor, Putri, and her family. They gave her a thorough, reassuring exam, and tended to any remaining injuries. They also began the process of assessing options for treatment of her trauma. In addition to caring for many of the wounded, the doctors and nurses also spent time playing with the children to brighten their spirits and reduce their stress during this difficult time. Because of your ongoing support of Operation Blessing, teams stand ready around the globe to reach out to hurting individuals in times of tragedy, illness, and of poverty. Thank you for standing with us to make a difference in lives like Putri’s.